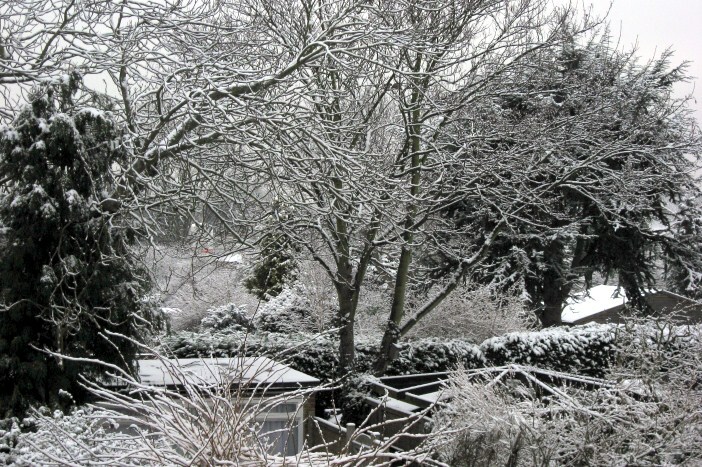 In the last week or so, we’ve finally had a proper winter with several days of snow. Thoughts turn inevitably to log fires and staying inside to huddle by them! On the food front, nothing beats the winter blues like a big bowl of stew, especially one that can take whatever ingredients you have in, so you don’t have to venture to the shops if you really don’t want to! That’s why I’ve called this dish Hotch Potch. I first came across a Hotch Potch recipe researching Early Vegetarian Recipes from 1865 by Job Caudwell. That was a simple vegetable stew of onions, carrots, turnip, lettuce and parsley thickened by grating half of the vegetables. My version provides protein with beans and is thickened with lentils, but sticks to the principle of adding nutrition by using green leafy veg. It’s such great name for a dish though, that I thought I just had to use it for this toss-it-all-in-the-pot recipe! Excuse the lack of precise measurements, but the idea is to use as much or as little as you have. Heat the oil in a large pan and gently fry the onion, celery and garlic until soft. Add the carrot and potato and stir well until coated in oil. Cook for two minutes. Add the green veg and stir well. Add the lentils and beans, stir, and then add the stock. Add the bay leaf. Cook for 30 minutes until the lentils have thickened the stew and the vegetables have softened. Season with salt and pepper. Don’t speak too soon, there’s probably still time! This is so my kind of soup. Looks delicious and so healthy and comforting on a cold winter day. Yes, it’s one of my favourite standbys and very warming! 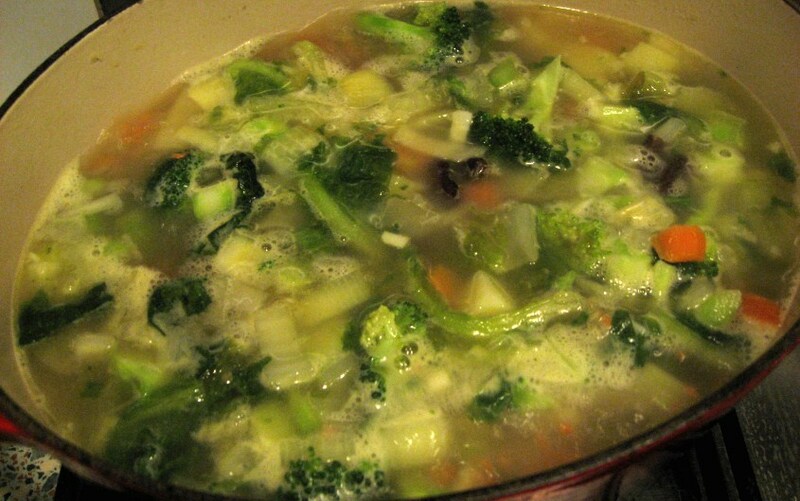 I love making homemade soups, Yum! Me too – a great way to use up veg and to experiment with flavours.